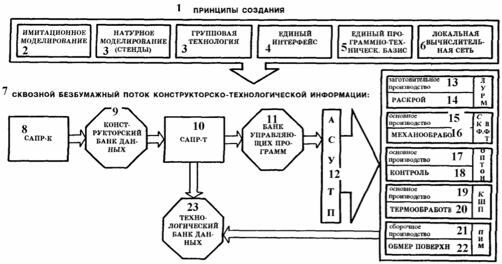 New technologies development experience, ensuring creation of Aerospace Systems, and in particular, the airframe of the BURAN orbiter is generalized in the paper. In 1976 the leadership of the country decided to create Reusable Aerospace Transport System. That decision had been dictated by requirements of aerospace technology development and the problem of reduction cost for payload injection into an orbit. At some extent that decision was the answer to Space Shuttle system creation in the USA. The head executive was the Ministry of General Machine Building. It was responsible for the whole project. NPO ENERGIYA was the head organization in it. BURAN orbiter, injected into an orbit with the use of the most powerful ENERGIYA system, was to work in an orbit with its payload and at recovering to the Earth with the same payload it was to function as an airplane, performing landing on an airdrome. The base of the orbiter was an airframe and Ministry of Aircraft Industry had to be responsible for its creation. There was decided that it would have been unreasonable to load existing aircraft plants by the aerospace work. That is why NPO MOLNIYA, special Scientific & Industrial Enterprise, was formed. non-powered flight and accurate automatic landing requirements. When creating the new organization, there were taken into account the experience, scientific and technological potential, production capacity and technical ties between various Design Bureaus. 1. BUREVESTNIK Design Bureau (Potopalov A.V. was the Head Designer). This department had shared the experience in creation of the airplanes of high velocities (T1-Myasischev aircraft or aircraft N. 100) and missiles of a wide range velocities (from subsonic to high supersonic ones). 2. MOLNIYA Design Bureau (Bisnovat M.R. was the Head Designer). Experience in creation of missiles with automatic remote control was used. 3. Experimental Machine Building Plant (EMZ, Myasischev V.M was the Head Designer). The EMZ Plant had an unique experience in creation of the high-altitude airplanes, pressurized cabin, ground-based and flying service with the use of its own flying- testing base. All mentioned organizations were to keep and go on with their technology: high-altitude airplanes, Ground-to-Air and Ground-to-Ground missile systems, flying targets. That was successfully done without damage to new aerospace tasks. TUSINSKY Machine Building Plant (TMZ), serial and multifunctional plant, having experience in the T-4 heavy airplane creation and situated not far from NPO MOLNIYA, was to solve a difficult problem. It was to become a head manufacturer and, at the same time, a developer for the new production and technology processes. Mr. Lozino-Lozinsky G.E. was appointed the head (General Director and Head Designer) of new organization, NPO MOLNIYA. He had gathered his nearest colleagues from ZENIT (Mikoyan) Design Bureau, where they had gotten the experience in creation of the first-class MIG fighter airplanes and had developed the first in the country SPIRAL Aerospace System and fulfilled testing the landing modes for orbital plane of original configuration. Leading research institutes (such as TsAGI, VIAM, NIAT, LII), belonging to Aircraft Industry, and some organizations, belonging to Academy of Sciences so as to other branches (radio-electronics, space rocket industry), had been involved in the work. From the first days of the project an executive meeting staff began to work, following the decisions of the Council of Head Designers. Detailed work plans were carefully developed and were in the most cases pushed through the Aircraft Ministry’s Board, Besides, they were signed as a decree of the Ministry. Aircraft Ministry’s leadership took personal part in the executive meetings that were held every week at the NPO MOLNIYA General Director’s Headquarter. With the help of the Military Industrial Committee, which was under control of the Communist Party’s Central Committee and Soviet Government, they had created a wide cooperation of more than 100 organizations from several fields that had provided development and testing the airframe of BURAN orbiter. The 12th Head Department was formed in the Ministry of Aircraft Industry. It coordinated aerospace works. Project state control was done by a special control center of cooperation. This center covered all the manufacturers and spaceports services by its computerized document turnover. There were building the unique aerospace laboratory-stand base and special production department capacity, when the project was still developing. Every project and production process, demanding scientific support, was developed under leadership and with participation of the Head Technical Department in the Ministry of Aircraft Industry. The first and the second phases of creation the Automated Systems of Designing (ASD) at NPO MOLNIYA supplied in accordance with plans of this Department. Besides this, software for technology complexes had been introduced in TUSHINSKY Machine Building Plant (TMZ) as well as in Design Bureaus. It is well known that the work was successful. The first in the world BURAN automatic landing had showed the results of all organizational and technical measures and also new (in the country) cooperation of technical aerospace technologies, later used as a base for the advanced aerospace transport systems. It became possible for the aircraft industry to solve such difficult and new problem not only due to all available (from every field) experience mobilization. 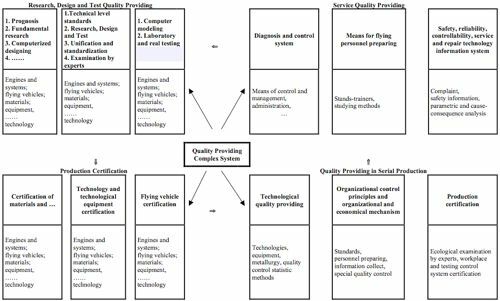 This was possible also due to the right scientific and technological approach, the base of which is a complex system of quality control in aerospace designing and production. 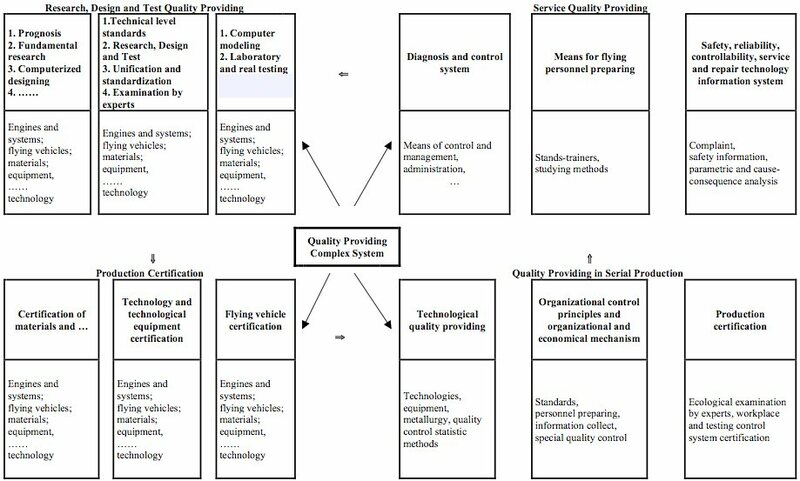 Such system had provided high reliability for the future flying vehicle (Figure 1). Its developing science control has been doing for many years by the author of the papers. The concept that bases on system approach (generally accepted when producing civil and military airplanes) was formed during BURAN orbiter airframe creation. Its computer-integrated systems became paper-off technology and imitation modeling center. 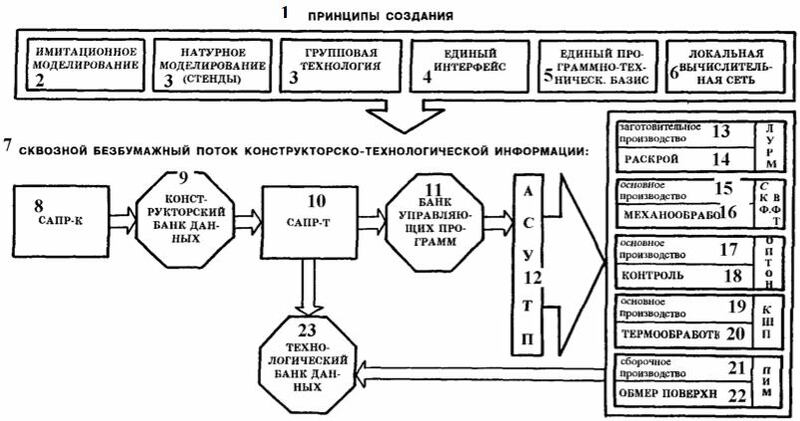 Figure 2 shows information exchange in paper-off technology that was awarded by the USSR Council of Ministers’ prize. Thermal protection designing, production and mounting had been fulfilled without any drawings. It was done with the support of design database and automatic program generation for the marking-treatment block control, damping backing and technological stands. Purity and accuracy required for the TPS tiles manufacturing and mounting were achieved in the Production Department N. 111 on TMZ Plant (Director was Zverev I.K, at the main stage of BURAN orbiter creation Director was Arutyunov S.G.). There under Ministry of Aircraft Industry (Head Technical Department) control the automated system was formed to control the work of special machines, measuring and marking units. Paper-off technology good results were available only due to cooperation of Design Bureaus, research institutes and production plants, belonging to Ministry of Aircraft Industry. The Council on Automated Systems of Designing (ASD) at Ministry often discussed such technological principles. The main ideology of the Through Quality Control System had been incarnated in the Full Scale Stand of Equipment (FSSE) that had become the unique and first both in aircraft and space rocket engineering. The stand was a ground-based full-size analogue of BURAN onboard complex with real control algorithm, drives, landing gear and avionics simulation. Every airframe mechanism that works both in vacuum and in the upper atmosphere had been tested in special (tribological) laboratory that was the unique one in Europe for simulation of various friction conditions. The air transportation on the external attachment of the BURAN orbiter and rocket launcher blocks was also interesting and a new technology for aircraft industry. In order to do this a special carrier-plane (VM-T ATLANT) was created on the base of 3M-bomber airplane. Many aerodynamic and heat-strength tests were made in TsAGI – the head research institute of aircraft industry. Thermal Protection tests with the use of vibration test beds, thermal and pressure simulating chambers, plasma generators and resonators had helped to provide its reliability at multi-use loads taking into account a variety of weather conditions. Machines The unique production units and machinery were created at the first in aircraft industry. For example, automatic stand for cabin welding was created at TMZ Plant. The most of BURAN technological developments were later used in aircraft industry. For example, the use of 1201 aluminum-lithium alloy that for the first time had application to BURAN airframe. Another example is the further development and application of automatic onboard control systems also first used when BURAN orbiter creation. Initial technological problems were overestimated when airframe creation and testing. More problems were to solve than it was at the beginning of the project. People began to understand reusable and multifunctional aerospace transport systems effectiveness and expediency. The systems that are to become launch systems of the XXI century. There are now considered critical aerospace technologies that could provide Russia with competitiveness in goods and services of aerospace market. These technologies continue first stage aerospace technologies that helped to create the first in the country airspace plane. This book describes these technologies that outstrip all the technologies around the country. The book tries to describe innovation methods and design, production and testing means. The main aim of the book is an experience exchange and aerospace transport systems development substantiation. The book differs from other books that describe BURAN systems and construction. The difference is that this book doesn’t describe what have been done and constructed, how it flies and looks but it tells us how we can do, did methods we used, with the use of what researched and tested and also how we succeeded in our first flight. The book consists of the papers written by those who made it possible BURAN airframe creation and testing. We think that our aim will be reached if a reader has got interest to raised problems, if he has got questions and wish to find out more about aerospace technologies. Our country specialists will help to form an understanding of interesting technological problems in aircraft and aerospace fields. Bratuhin A.G. High Quality, Reliability and Aircraft Lifetime Technological Providing. – Moscow, MASHINOSTROENIE Publishing House, 1996.